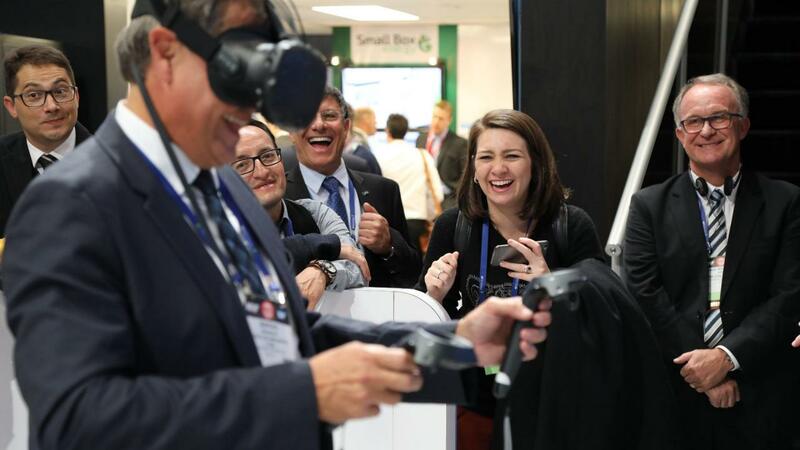 Every January people from across the retail industry attend Retail’s Big Show, the National Retail Federation’s (NRF) annual exhibition, where attendees can network, learn about important industry trends, and discover new retail technologies. This year’s event, held at the Jacob K. Javits Convention Center in New York City, will take place from Jan. 14-16. Intel is excited to be participating in the event, where we will showcase our newest technologies to help transform the retail industry. As the retail industry faces disruption, having the right technology solutions allows retailers to keep pace with evolving customer expectations and market forces. This is a time for retailers to rethink their businesses and imagine new possibilities. NRF 2018 attendees can see some of these new possibilities in action at Intel’s booth by taking a booth tour, participating in an experiential demo (featuring tech like our continuous shelf monitoring, brilliant shelves, and take-away makeovers), or talking with our industry experts. Retail technology isn’t just about adopting a new solution. It’s about finding solutions that work together, that allow you to make the most of your data and customize the shopping experience. It’s about being responsive at all times and optimizing all parts of the supply chain. Sound interesting? Visit us at the show for a personal tour. We’ll show you real-life examples of retail technology in action that you can implement at your business. Personalization: With scalable Intel technology, retailers can create highly personalized customer experiences using data-driven insights. Internet of Things (IoT) technology, for example, lets you keep track of data in stores, often in real time. That data enables personalized shopping experiences, which can lead to brand loyalty, increased foot traffic, and more sales. Supply Chain Optimization: Data isn’t just about pleasing customers. Data gathered by smart sensors, for instance, helps retailers analyze inventory and customer traffic data so they can manage their supply chains all the way from factories to store shelves. With this information, retailers know how to stock products and position them to sell. In addition to showcasing Intel solutions at our NRF booth, you’ll also see us throughout the show. We partner with many other organizations at Retail’s Big Show, so keep an eye out for Intel technology supporting apparel, food, and other retailers. Industry-wide change isn’t easy. That’s why we’re committed to working with developers, innovators, and others in the industry to create a global ecosystem of partners that can find the best retail technology solutions. So whether you join us for a tour at our booth or run into us throughout the show, we’re looking forward to discussing the innovation happening in the retail industry with you. Don’t forget you can also keep up with NRF news throughout the conference at the IT Peer Network or on Twitter! General Manager, Retail Solutions Division (RSD), Intel Corporation: RSD is bringing the Internet of Things to retail by developing the hardware, software and analytics technologies that will enable brands and retailers to deliver the perfect personalized shopping experience. RSD owns point-of-sale, ATM, Kiosks, Digital Signage, Intelligent Vending, and Micro Digital Signage for Intel. 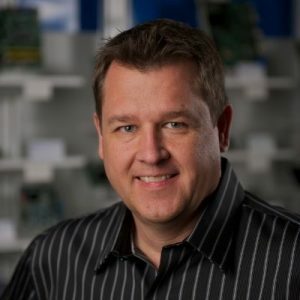 In prior roles Joe directed the Strategic Planning, Marketing, and Operations for Intel's Consumer Electronics Group. Before that he was the General Manager of the Embedded Intel Architecture Division within Intel Corporation. Intel’s Embedded Intel Architecture focus is the development of new market segments and applications for Intel core PC and Server technologies. These market segments include communications, point of sale, industrial computer, and educational computing. Joe has a BS in Electrical Engineering from South Dakota State University and an MBA from Arizona State University. He started with Intel in 1984 in engineering and has worked in all aspects of the semiconductor business from product design, through manufacturing and to marketing.